While the Rumford area is perhaps better known for its nordic and ski jumping history, it has also been home to an alpine ski area for over half a century. Rumford's Chisholm Ski Club dates back to circa 1923, when a ski jump was constructed on Spruce Street. A ski tow was later added to the area to support alpine skiing. World War II took the community's focus off maintaining its ski complex, resulting in the loss of the jump ramp. Following the war, a ski jump and tow were constructed on Scotty's Mountain, thanks in part to help from the Oxford Paper Company. 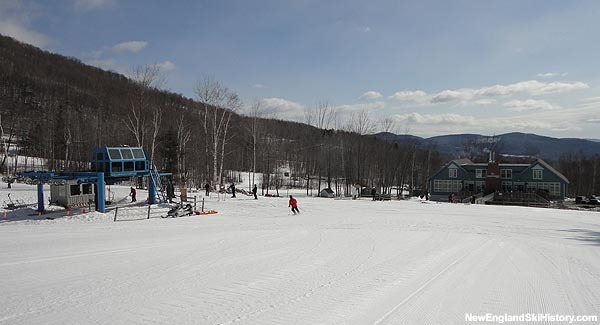 With its lease on Scotty's expiring circa 1960, the Chisholm Ski Club acquired some 450 acres on nearby Black Mountain and began constructing a new ski complex for the new decade. Chisholm Winter Park on Black Mountain likely opened in early 1961 with two trails served by a 2,200 foot T-Bar. Two ski jumps were in place that winter, as well as a cross country ski trail network and a multi-story base lodge. For its first full season, a 70 meter jump was added, as well as two more trails. Night skiing was also available. Heading into the 1962-63 season, a 3,400 foot upper mountain lift line was apparently cut in preparation for a summit T-Bar. The upper mountain would not open until some four decades later. Black Mountain found itself in financial trouble in the early 1970s, thanks in part to a lack of snowmaking. Meanwhile, the non-profit Rumford Mechanics Institute Association became the Greater Rumford Community Center. Circa 1974, the Chisholm Ski Club handed ownership and operational control of Black Mountain ski area to the Greater Rumford Community Center. Along with financial support from the town, the group was able to keep the ski area operating. Desperately in need of snowmaking, a fundraising campaign was kicked off in the late 1980s to install a system. As a result of the campaign and town funds, snowmaking debuted at Black Mountain during the winter of 1989-90. In the early 1990s, fundraising was commenced for the purchase of a chairlift. While a lift was procured, the area could not raise enough funds to install it. In order to help diversify winter offerings, snow tubing was added for the 1997-98 season. 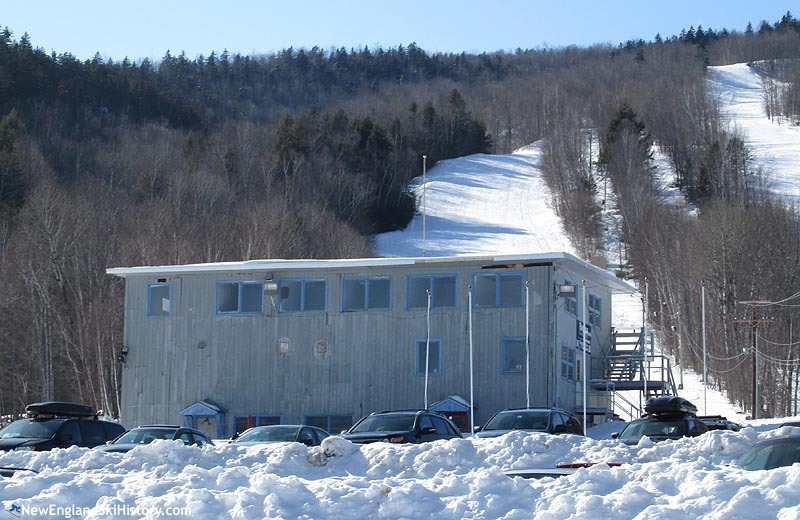 With Black Mountain constantly being a point of debate in regard to obtaining town funds, Chisholm Ski Club member and former Olympian Chummy Broomhall contacted Maine Winter Sports Center to see if the organization could help the ski area. In mid-2003, Maine Winter Sports Center purchased the ski area from the Greater Rumford Community Center. A used double chairlift was installed for the 2003-04 season, serving three novice trails. Major changes took place for the 2004-05 season, as Black Mountain went from 470 vertical feet to 1,150 when a brand new triple chairlift was installed. In addition, a 12,000 base lodge was constructed at the foot of the new lift. The 1.5 mile Allagash trail made its debut for the 2011-12 season. It was smoothed and groomed for the 2012-13 season. On June 11, the Town of Rumford voted 939 to 497 to not provide $51,000 in annual funding. 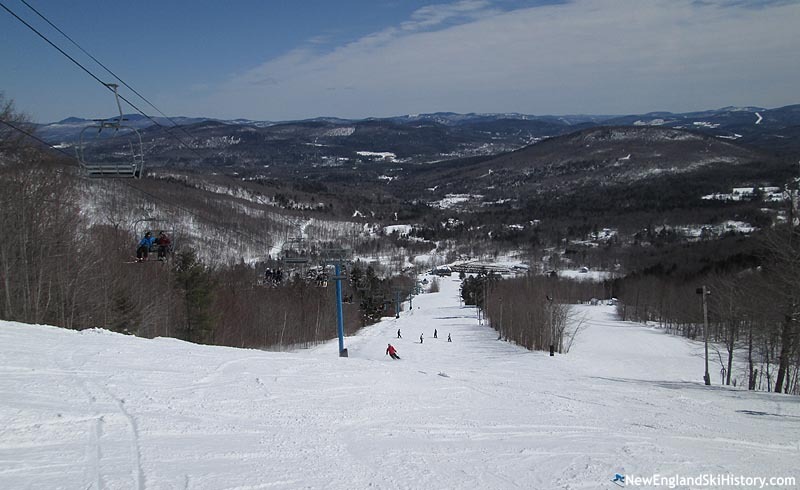 Two weeks later, Maine Winter Sports Center announced plans to close Black Mountain of Maine ski area effective immediately, citing 10 consecutive years of losses. Passionate skiers then commenced a fundraising campaign, which generated $125,000 in just a few weeks. 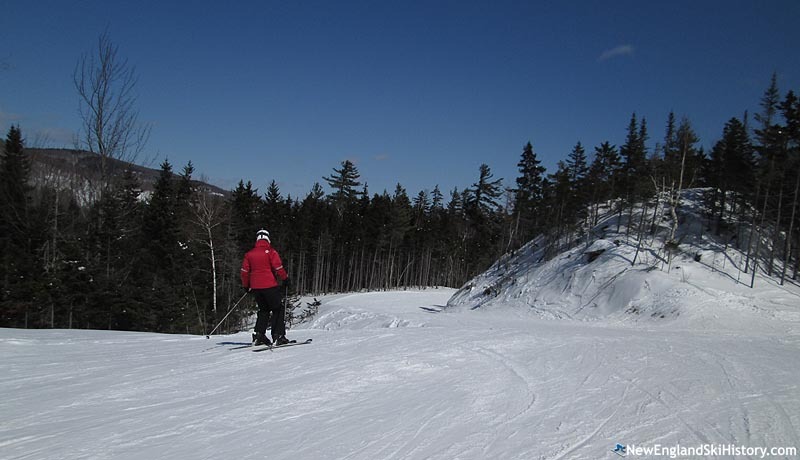 On July 19, 2013, the Maine Winter Sports Center announced enough funds had been raised to keep the ski area open for the 2013-2014 season. Soon thereafter, the ski area was transferred to the Black Mountain Operating Board. Meanwhile, a volunteer group called the Angry Beavers developed glades throughout the mountain, making Black Mountain one of the largest tree skiing areas in New England.